One of the coolest things about becoming affiliated with Young Living essential oils is the access to education. I get to learn about all sorts of health and wellness related things, not all of which are essential oil related. 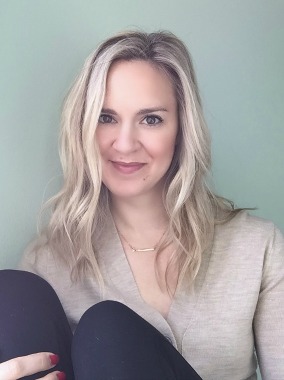 Last weekend, I went over to a girlfriend's house for a "make and take" class, where we made several products (breath freshener, room spray, bath soak and lip balm to be exact) and got to learn from an experienced lady on all things holistic health. I already knew that conventional mints and gum are chock full of chemicals (hello, artificial sweeteners! ), that scented candles emit toxins that are actually really bad for you (ever get a headache from the scent of a candle? Me too) but I had no idea how important taking a bath in Epsom salts regularly is. Turns out, not only is it relaxing (duh) but there are some really important health benefits too! I've never been a great sleeper. I love to sleep and I love to be in bed for 10 hours a day but I don't sleep through the night. I wake up multiple times a night, and most nights I'm awake for several hours. It's absolutely frustrating. I've even seen specialists about it and it hasn't helped. I know many people experience sleep issues! Whether you can't fall asleep or you're like me and can't stay asleep, sleep problems are rampant. There's a point to this paragraph, I promise. We sit down to hear our leader speak a little bit about what we're going to make and why it's helpful. She said many things I already knew about the chemicals in scented candles and the fake sweeteners in gum. I've ditched all those products from my home or personal use for years now! But then she started to talk about the bath salts and my ears perked up like a little doggie who was just asked if she wants a treat. She quoted a study that found nearly 80% of American's to be deficient in various minerals, but one of the most common was magnesium . Decades ago, this wasn't the case. Due to modern agricultural practices that over farm the soil, the food that we eat simply isn't as nutritious as it used to be because the soil is depleted of those minerals from constantly being farmed. Magnesium is a mineral that helps your body and muscles relax. Now there are multiple factors to why people are having a hard time sleeping, but lack of nutritious food that results in magnesium deficiency is a contributing factor! How do we make up for the lack of magnesium? Sure, there are dietary supplements . I actually take one myself. But your body doesn't absorb nutrients from a pill as well as it does from real food. You can take a larger does of the supplement, but it can cause diarrhea. That's certainly not fun for anyone. Enter the bath salts! Epsom salts are full of minerals. Your skin is your body's largest organ. 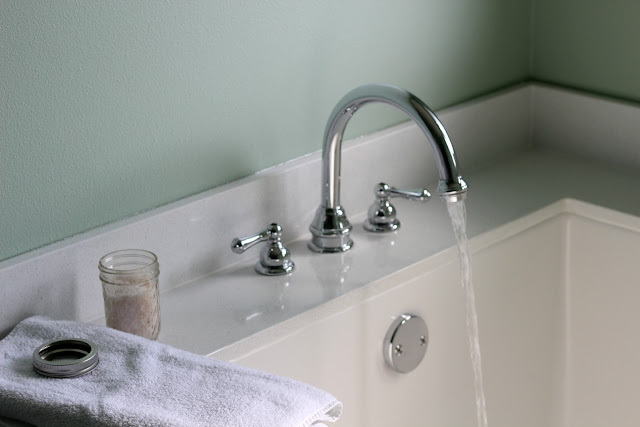 So when you sit in a tub and soak in the salts, you're absorbing all those needed minerals. They're seeping in through your skin and getting into your body without the need of the digestive tract. Plus, you know, baths feel great, so that's a bonus. 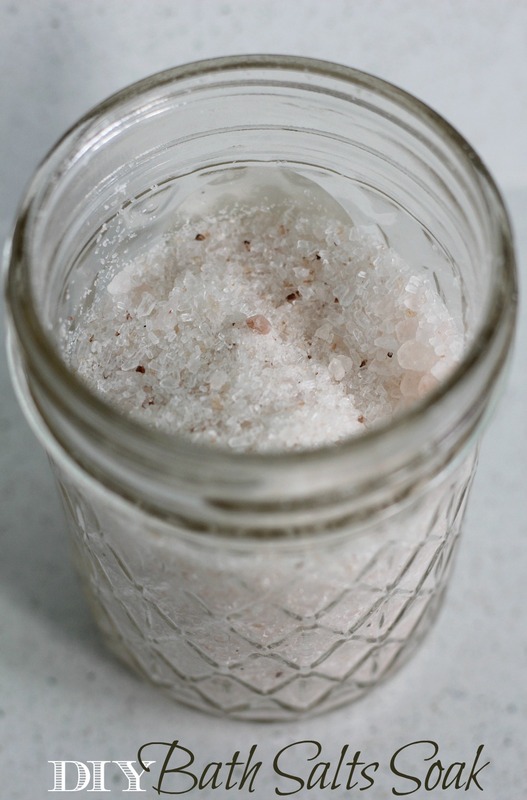 In a glass container, mix together the two kinds of salts. Drop in your essential oils and shake vigorously to disperse the oil. Add several tablespoons to a bath. The lavender and cederwood promote better sleep, too! As it would turn out, baths in salts are an important part of self care! You get some alone time, it feels great, and it's replenishing needed minerals in your body. I just made these bath salts with Epsom and pink Himalayan salts and a few essential oils. Now that it's finally cool in Texas, I hope to incorporate a bath into my self care routine several times a week. I know this won't instantly help my sleep problem, but I'm hoping it's another piece of the puzzle that I've put together to get the sleep puzzle whole again. I had a Pediatrician I used to train with who didn't believe in ADHD medications but instead had the parents every night fill up a hot bath with epson salts and put the kiddos in there for a half hour. It helped all of them sleep and combat a lot of their anxiety. All very interesting! Long live the salt baths! I try to take at least one a week. They're super relaxing and always make me feel better. When John and I had that parasite last year (gag me) I tried to take an epsom salt every day and you know what - I started feeling much better faster than John. Ha! My sister made something like this for me last year for Christmas and I LOVE it. Great use of essential oils! I try to take an epsom and essential oil bath one day a week! Self care is so important! I love making homemade bath salts and detox baths! This is all so good! I love a relaxing bath, can't wait to try your DIY bath salts. 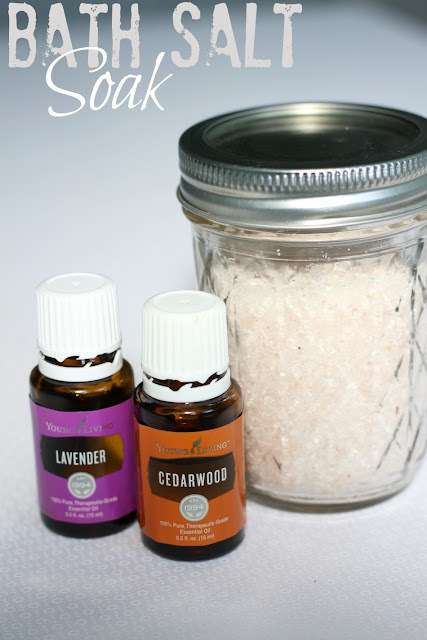 I love bath salts and they are so easy to make =) Can't wait to try your version! I have a hard time getting to sleep and staying asleep as well. I didn't know about the magnesium deficiency. I'll have to try making these bath salt and see if it helps. Even if it doesn't, it will still be relaxing "me" time. Excited to try your bath salt! I have these oils so need to try it. Sounds super relaxing! Paige, this is so good to know! I take Mg too everyday but I know it's not enough. I will have to make this with some of my YL oils that I am still using (I need to ask you some questions about them!) But I always look to your blog for info on the best DIY recipes on using them. We have been diffusing thieves like it is going out of style here! Yup its really useful and health for your body.